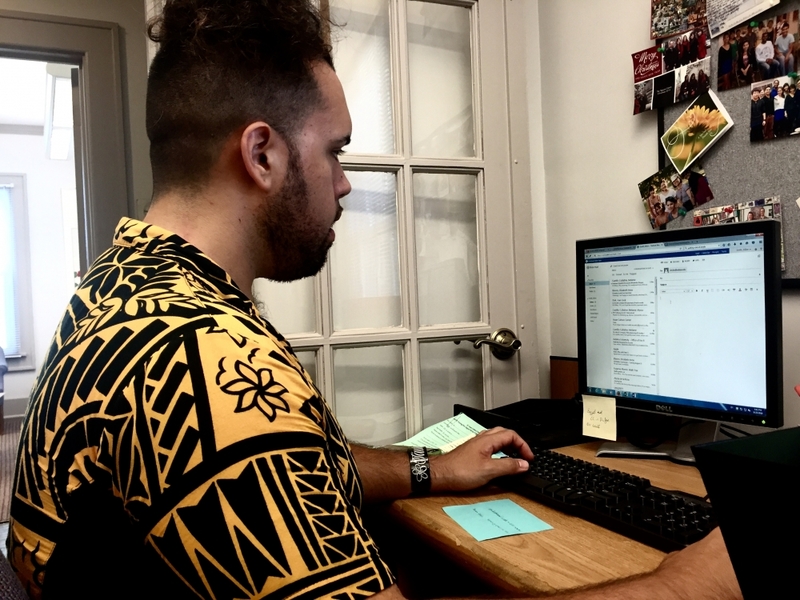 A handful of green volunteer applications waved in the hand of Dillon Smith, an Asian Culture Center graduate assistant Thursday evening. Each page had the signature of a volunteer who had applied to tutor Asian and Pacific Islander students as part of the ACC’s Peer Support Service and English Tutoring Service orientations. Smith said he is happy to give anyone an orientation while he is in the center and he hopes more people will attend the next round of sessions scheduled for 1, 4 and 5 p.m. Sept. 1. The program is set to kick off for the semester Sept. 12. Last year, the ACC program operated with 19 volunteers, many of whom Smith said were interested in linguistics, speech and hearing sciences and second language studies. One of the students interested this year is Kevin Phan, a freshman in second language studies who had never been to the ACC before his orientation for the volunteer program. Phan said he plans to teach English in Japan someday and saw volunteering with the program as beneficial in several ways. He is excited to gain practice before jumping into the career, meet new people and give back to the IU community. Seated in the ACC lobby’s blue chairs, Smith asked Phan if he was certain of his schedule. Phan said while he was comfortable with his classes, he worried club commitments would conflict with his tutoring availability. Smith said the program asks each volunteer to sign up for one to five hours during the same time or times each week. Traditionally, the ACC posts the collective of volunteer hours, and students seeking advice may casually walk in during those times. The tutoring service is not a structured class, Smith said. Rather, it’s flexible for whoever walks through the door and whoever is willing to help them. That direction has evolved through the years from a language program to one that addresses other cultural differences as well. If a problem seems too heavy, Smith said tutors will be able to redirect students to Counseling and Psychological Services or the ACC counselor, who should start work soon after receiving a work visa. After a discussion of tutor duties and a quick tour of the office, Smith and Phan returned to the lobby. Smith asked Phan if he needed time to think.